What am I learning about you? 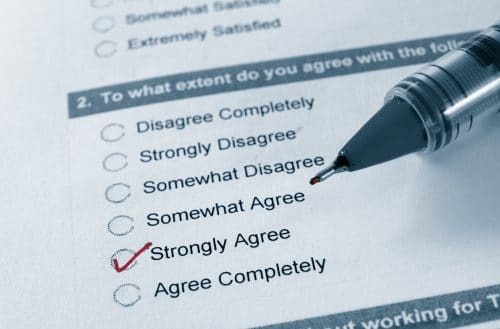 Thank you for taking the time to contribute to my recent reader survey. This is only the third time I have undertaken such an exercise in the five years the blog has been going. That is way too infrequently! I have found it a useful way to understand you, my readers. I think in the long run you will also benefit as it will help me improve my blog, writing and podcasts. I intend to repeat the survey more regularly so as to keep what I write about and present as relevant and helpful to you as possible. In December 2017 we had 93 responses from the 483 email addresses in our database. Although these are relatively low numbers (19%) they do provide a baseline from which we can build on to develop an understanding of who is reading and how to improve content. – aged above 45 (83%). There are a further 9% who are aged 35-44 so it does seem that I am particularly relating to those who are approaching middle age and above! (For further reflections on getting older see Podcast #012 On Turning 50). In terms of what you do, 23% work in Christian ministry or the charity sector, 20% in health, 16% are employed in a company, 14% are in business or managerial positions and 9% are retired. Of those who responded 90% identified themselves as Christian, 5% atheist, 2.5% agnostic and 2.5% as Hindu. In addition 85% stated their faith was very important to them, 2.5% important, 5% mildly important and 7.5% not important. For me that seems to indicate I need to make more of a connection between my faith and the rest of life. As we grapple with living in an increasingly complex and challenging world it is important I articulate how faith in Christ can speak into our lives. Where around the world are you? I have statistics from my current number of 479 subscribers that shows 51% live in the UK, 21% in the US and 16% in India. The remaining 12% are from countries as diverse as and including (among many others) Germany to New Zealand and Brazil. With regard to the subjects that interest you the most, across the five categories of the blog posts this was divided between mental health (64%), spirituality (62%), thinking (33%), leadership (20%) and cross-cultural issues (11%). The blog posts initially started on the subject of depression and are an important area of interest to you. Closely related to that have been issues related to stress, burnout, growing in resilience and challenges at work. In terms of content, many of you made comments about appreciating the variety of content and sharing my own life story highs and lows. Certainly by providing a variety of content and keeping it as personal as practically possible I am able to maintain a consistent output. With regards to frequency of reading blog posts, I think aiming for a weekly post is just about manageable to ensure not overwhelming you with further emails as well as maintaining quality. It is what I can realistically keep up with and I hope provides a welcome thought provoking and inspiring interlude to the usual emails you receive without being another unnecessary addition to your in-box. 73% of you have recommended the posts to others. Thank you for that! That is the best way to get these resources to those who need them most. In terms of the podcasts, 53% of you have been able to listen to them. Of those 78% listen directly from the associated blog post and 11% directly from iTunes. It has also been brought to my attention that many of you are not aware you can download the podcasts directly from iTunes or a podcast app by searching under the title ‘Making Sense of Life’. There also seemed to be a consensus to keep the podcasts to a maximum of 30 -40 minutes, which I will endeavour to do. 71% stated they preferred the blog, 10% the podcast and 19% had no preference. It is my sense that those who listen to the podcast may well be a different audience to those who read the blog posts. Ageing and exclusion due to ageing. Time – lots of demands on me from different sources. Headspace – there’s only so many mental demands I can handle at once. Time. As a volunteer it can be hard to decide when to stop! Matching my ideals with reality, esp. professionally. Time. Having to trust God to sustain our family with uncertainty of job security in the imminent future. What has God got for me to do when I retire from being a GP? Time – which is reason why a blog to read is preferable to a podcast. being a grandparent to 7 gorgeous grandkids and seeking to be a godly, especially to my daughter’s children as she doesn’t like me to take them to church or talk about christian things with them. Form the above there appear to be consistent themes around time management, dealing with discouragement, mental health issues and finding clarity in life. Be salt and light to those around me. Make disciples for the Lord Jesus Christ. See his lambs grow into sheep. See his children grow into adults. See his people grow in Christlikeness (including me). To have some friends grow deeper in their faith along with me! Supporting the above mentioned congregation in The Hague. Helping people to find the love of Jesus. To help my church pastoral team develop better support for members suffering from stress and mental illness, and for my church, through what it teaches not to add to the pressures on its members. Whatever the Lord has in store. I want to be useful in the kingdom of God. Change in education system to believe in reality only. I would love for my jewelry company to flourish and thrive. I would like my husband and I to take those bucket list trips before its too late, and I would the US to have a president that isn’t interested in what the people can do for his inflated ego, but what he can do for all the people in every country – short of threatening war! I want aging to be a wonderful thing rather than a worrisome, medical issues thing. Personally, I look forward to my 1 year old starting nursery freeing up more time for me to do pastoral ministry. Happier home life. Knowing children rooted in Jesus. Knowing where God wants me to be. Keep myself in the centre of God’s will. In terms of the biggest obstacles standing in your way it was striking how many talked about feeling limited by time. This is certainly a subject worth exploring further. I have made an initial start at it with the resources at Podcast #024: Making Sense of Time along with the post Where Do I Find The Time? Thank you again for taking the time to respond to the survey. I really appreciate it. If you have any further comments or suggestions please feel free to contact me via the website. Interesting – and many of these apply to me (well apart from being female!) …. hope it helps you in blogging. Keep up the great work for 2018!